Extensively tested in trials for above average profitability, year in, year out. 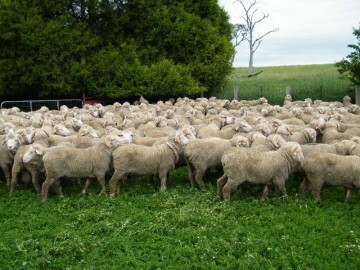 Cressbrook rams have a long breeding history of fine wool genetics. Founded in 1954 on pure Merryville blood. In recent years poll genetics from Billandri and CenterPlus WA has been introduced to further boost these important traits. Cressbrook rams are run under commercial conditions. Situated in the New England Tablelands of NSW, is just 16 kms from Armidale. The New England experiences four distinct seasons, so our sheep must cope with September lambing, with frost, winds and occasional snow; a high summer rainfall to test their ability to resist fly-strike; and long winters when feed is at a minimum. Cressbrook rams provide you with an opportunity to invest in a “finer” future. We maintain extensive records and can provide average measurement figures for our environment. The past two years, adult (3 years plus) fleece line fibre diameter has been 16.7 micron and mature breeding ewes have cut an average of 5.0kg with a yield average of 78% for fleece wools at 90mm length. Our goal is to maintain current fibre diameter whilst increasing fleece weight as quickly as possible, along with moderate gains in staple strength and body weight. 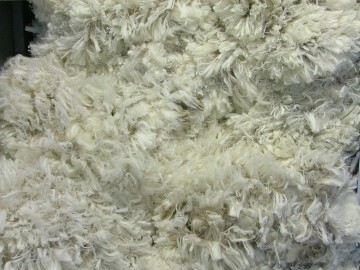 We will achieve this by using the Merino Select FP+ index. Fertility: All sale rams have passed veterinary inspection and measurement of testicles and as such are capable of servicing ewes upon delivery. Severe Fleece Rot: An area of severe breakdown, greater than 10cm in circumference, evidenced by green, pink or purple discoloration. Severe Body Strike: Where it is clear that the strike area does not emanate from poll, crutch, pizzle or from injury. Functional Structural Breakdown: Any ram, before attaining the age of five, being incapable of achieving service due to predisposing structural weakness. Severe Muffle: Any ram proven to have deteriorated more than 1 score on our scoring system.